There are a bewildering array of Myrtle Beach attractions to choose from at this popular ocean front resort in South Carolina. We have been coming to the Myrtle Bach area for over 20 years now, we have a winter home in Pawleys Island, just to the south so there is not much we don’t know about the area. One of the first things to understand is, like many American resort areas, many of the areas attractions are only open for the summer season. Although we have been coming here for the golf, for most it is a summer beach resort and a lot of major attractions such as water parks, amusement parks and so forth only open from Memorial Weekend at the end of May through to Labor Day weekend at the beginning of September. There is still plenty to see and do outside of the summer period but many of the family based activities will be closed. If you fancy shopping and a show then Myrtle Beach is a great destination all year round. Ocean Boulevard is home to several Myrtle Beach attractions. The Sky Wheel, Myrtle Beach’s answer to the London Eye offers stunning views of the ocean and the surrounding area. Alternatively you can take in the ocean breeze while strolling along the Myrtle Beach Boardwalk. The 1.2 mile oceanfront Boardwalk and Promenade stretches from the 14th Avenue to 2nd Avenue Piers in Myrtle Beach. 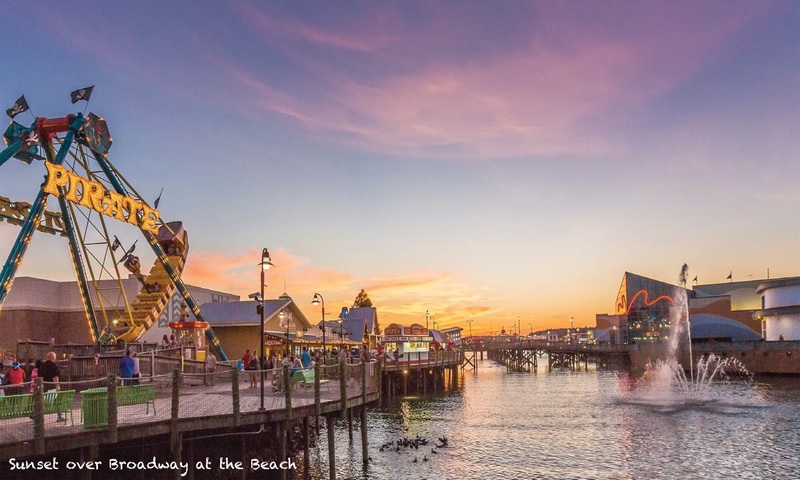 Throughout the summer, the popular Myrtle Beach Boardwalk is home to festivals and events, including Ocean Boulevard’s Hot Summer Nights located at Plyler Park in the heart of the downtown area. Away from the beach, there are two main focal points for shopping, dining and entertainment. Broadway at the Beach in the centre of Myrtle Beach and Barefoot Landing in North Myrtle Beach. The centres are 15 minutes apart by car so wherever you are staying in the area you are not far from one or both. See our pages on Broadway at the Beach and Barefoot Landing for more details. A guide of Myrtle Beach attractions would not be complete without mentioning the variety of quality live entertainment. There are several venues hosting regular live entertainment including the nationally renowned Carolina Opry, Alabama Theatre and House of Blues at Barefoot Landing. There is also themed entertainment with Medieval Times and Pirates Voyage. Apart from 60 miles of sandy beaches, the Myrtle Beach area boasts a wide variety of family orientated activities with water parks, amusement parks and much more besides. One of the big attractions of the Myrtle Beach area is the huge shopping malls where you can pick up many bargains. Close to the airport is Coastal Grand Mall, one of the largest indoor shopping malls in South Carolina with everything from fashion, jewellery, accessories, electronics to sports equipment and more. There are many more large stores as well as several restaurants surrounding the Mall making it a true shoppers paradise. Probably the most high profile store is Best Buy where you can get all the latest electronic gadgets. Just a few minutes drive south of the airport is the Market Common area with boutiques, cinema, restaurants and City Mac, Myrtle Beach’s one and only store dedicated to Apple equipment. looking for bargain, end of line, name brands? Head to the outlet stores. Tanger Outlets has two locations in the Myrtle Beach area, each with dozens of name brand stores including Timberland, Levi, Ralph Lauren, Nike and more. To find out more about attractions in the Myrtle Beach area please visit the Visit Myrtle Beach site. With over 1800 restaurants in the area there is no shortage of options. Barefoot Landing and Broadway at the Beach boast a wide selection of eateries but there are also numerous other areas to check out. Highway 17 Business from 71st to 76th Avenue has a good selection of restaurants and bars including the Flamingo Bar & Grill, Bone Fish Grill, Collectors Café, Lombardo’s Italian Restaurant, Outback Steakhouse, TGI Fridays and one of our favourite haunts, Liberty Taphouse. These restaurants are within walking distance of a couple of our featured ocean front accommodations, Ocean Reef Resort and the Myrtle Beach Marriott. If you like seafood and nightly entertainment then, arguably the best nightspot in the Myrtle Beach area is Murrells Inlet. Known as the Seafood Capital of South Carolina you can be sure of fresh, locally caught seafood combined with traditional Low Country Cuisine and a great atmosphere overlooking spectacular Murrells Inlet. Just 30 minutes drive south of Myrtle Beach is the beautiful Pawleys Island area which has several attractions including Brookgreen Gardens and Huntington Beach State Park. 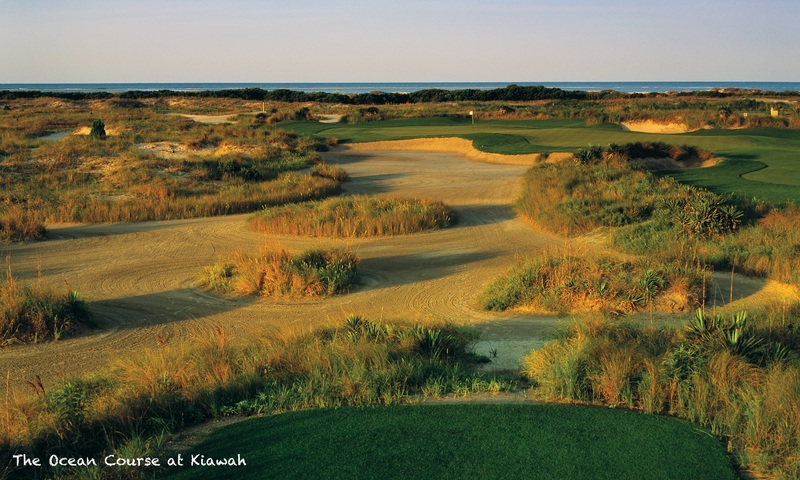 See our Pawleys Island Attractions page for more details.